Shelves of books is a sight to see especially to bookworms. As a matter of fact, even with the latest advancements in technology people read and distribute books online. On the other hand, reading through those hard printed pages is still a bliss for many people. And that is the main reason why libraries are still up and operating. Now, when a need for relocating your huge volume of books arises, find someone who’ll do it for you. Library removalists Sydney team will move your treasured volumes with ease care. We will make sure that everything is taken cared for in your library relocations. Furthermore, no one else is best fit to move them but a company whose people knows by heart the importance and value of books. Although admittingly, it is a heap of trouble moving all those copies. Apparently, prior to moving library, we will need to formulate a plan that will cover all contingencies. In other words, we need to sit with you and plan how things should go. We will double check your layout in the current location and figure out how we will implement it on the new site. But that would depend on the situation of your move as well. Every library removal is unique in its own way especially on the execution of the actual process. Also, part of the plan is identifying which peripheral solutions are necessary such as a commercial self storage. Agreeing to the time of the move is vital. 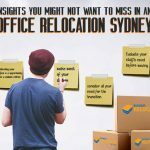 As a client, you need to sit with your library removalists Sydney team to figure out the ideal timeframe for your move. If your collection is huge, we need to consider critical factors. This includes rush hours and weather conditions. Although, ideally you should decide the moving date a year before the move. The data collated during the measuring and mapping of the new site is critical for making adjustments to the plan. This must be noted especially on the very start of the transition. Ensure that from packing of the books to carrying them on the delivery boxes, the transportation is smooth. Also, you will need to compare the floor layout from the present site to your prospect next location. In this way, it will be easier for your library removalists Sydney team to set objectives and goals for the move. Furthermore, you need to set and identify growth spaces for volumes with growth potential. These volumes are mostly literary collections and references. They should be mapped out along with the rest of the collections. Old and rare materials need special attention during the move. They are the ones that require the most preservation for quality since they hold so much value. So most often they need a separate library removalists Sydney plan. You can always opt using boxes, however, we reckon using crate and skate solution when transporting them as it provides more security. 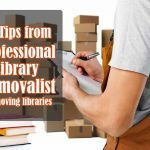 Library removalists Sydney supervisors will take charge for the whole process. They will be the main decision makers. Whenever contingencies surface, they will deal with it and facilitate. Moving a library is different than moving residential homes or enterprises. But then again, it takes a careful and detailed process to accomplish it neatly. In fact, the main challenges are the organisation, quality control, and the quantity of all titles and volumes that needs to be relocated. Ergo, this endeavour should be taken care of by professionals. Do you want to hire a team of professional library removalists Sydney today? Reach out to us! We will be more than happy to be of service. Explore more of our services and visit our blog section for more insights, tips, and information.